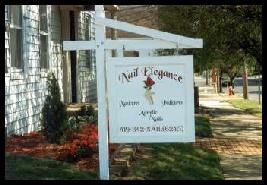 Nail Elegance is located in beautiful Shelby, Ohio. We are 1½ hours north of Columbus or south of Cleveland and only 10 minutes from Mansfield, Ohio. We are open Monday through Friday from 8:30 AM until 9 PM and Saturdays from 8 AM to 4 PM . Nail Elegance is proud that it has been personally chosen by Tammy Taylor to be a Tammy Taylor Exclusive Salon. We will continue to strive to uphold the excellence that Tammy Taylor has personally taught us. At Nail Elegance, we strive to give you the nails you have always hoped for. Whether you have a manicure and paraffin treatment or treat yourself to a beautiful set of Tammy Taylor Sculptured Nails, we hope to send you away feeling pampered. We know how important your appearance is to you, so let us help you achieve hands you'll want everyone to notice. We can help you decide which nail service best fits your needs and lifestyle.